As part of the yearly fundraising for Cookies for Cancer Kids, Food Bloggers around the world come together…. The idea is fun and simple, you sign up, decide on a cookie recipe you have not written about yet, get 3 food bloggers to send a dozen cookie to each, and wait to get cookies from 3 other food bloggers. The greatest part is that is build community. You get your food bloggers, go online to see their blog, get lost a couple of hours, find things you want to make as well at some point and then you start getting surprise boxes, with cookies and notes, and again, go online and learn about these bloggers as well…. Every year OXO, who matches the donations, send a gift, and this year it was the coolest thing ever! The 4 piece Baker’s silicone decorating kit– perfect to fill Chanukah Sufganiot or anything else! Right on time. Thank you OXO! This year I decided to make Honninghjerter – a Danish Christmas tradition! 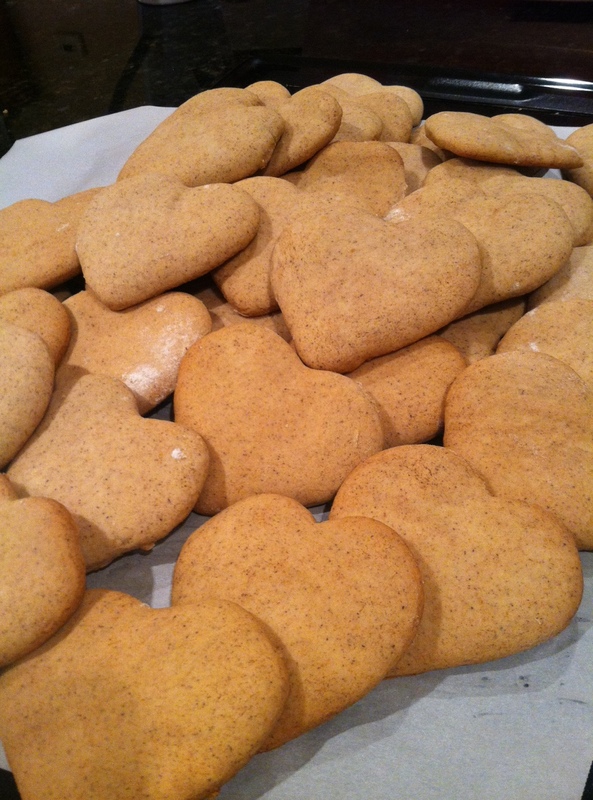 Honninghjerter means – Honey Hearts – heart-shaped cookies with a lot of spices. When it comes to Christmas cuisine, no one takes it more serious than the Danes. The spices in everything are spot on. A lot of cinnamon, clover, some cardamom and everything you need to have a Hyggelig Christmas, or holiday season. What is Hyggelig? Well that is the most Danish word and feeling there is. The Danes love Hygge, it is about creating a warm, cozy, friendly environment that is inviting and where you feel wonderful. And that is what the holidays are about. Right?! So for me Honninghjerter were a perfect choice. SensiblySara from Texas, Mrs Happy Homemaker from NC and Cupcake Friday Project from NJ. 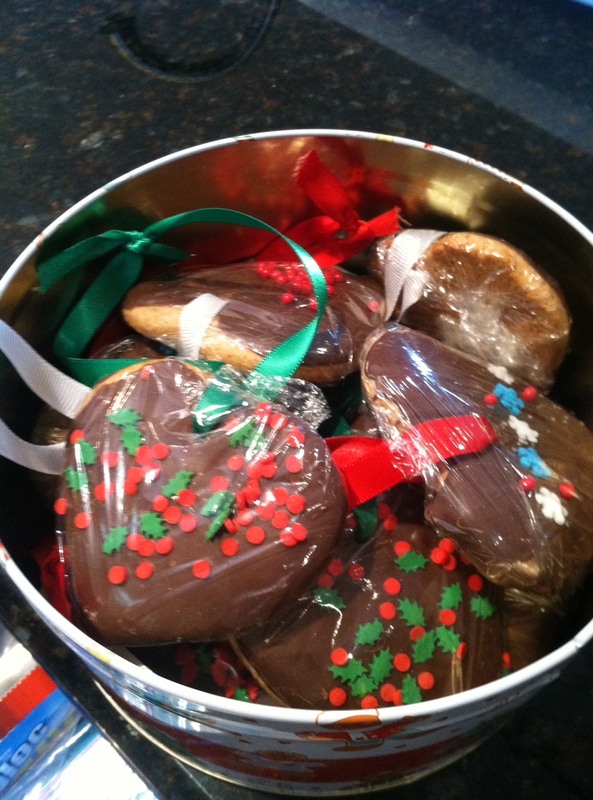 I baked a dozen cookies for each of the ladies, and as the tradition goes, you hang the Honninghjerter on your tree so I placed a ribbon in each and packed them carefully so they would not break. And off they went to Texas, NC and NJ. I got my first box from The Lady Behind the Curtain and they were pretzel chocolate chip. You can never go wrong with chocolate chip, especially when you add the salty pretzels. I got a gift as well that I thought was really cute. I went on Sheryl’s website and there are a lot of ideas there. 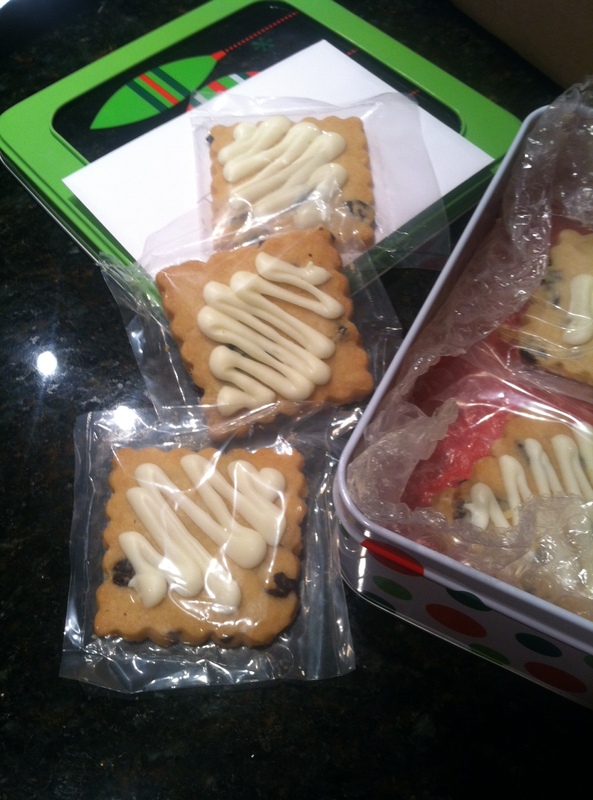 Then I got White Chocolate Cherry Shortbread Cookies from the Bake Equation that were sooooooo delicious! Oh my! I loved those. Melissa knows her cookies as is very clear from her website. Lastly came the fun Grinch green mint chocolate chip cookies from Sarah from Food, Fun and Life in Waukesha Fun looking tasty cookie. This is such a great project to be a part of for a fantastic cause. Thank you Julie and Lindsay for your hard work, putting this together! And back to the Honinghjerter…. Here is the recipe. Mix 500 gram (17.5 oz) of honey with 500 gram (17.5oz) flour. Place in a cool place or fridge until you need it. 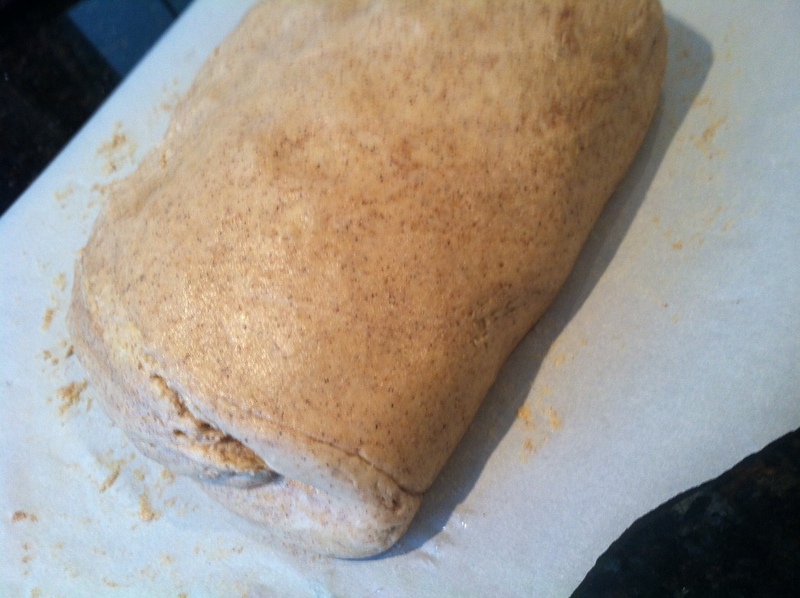 It might become hard but no worries, it will soften back when you knead it. Mix the dough well. 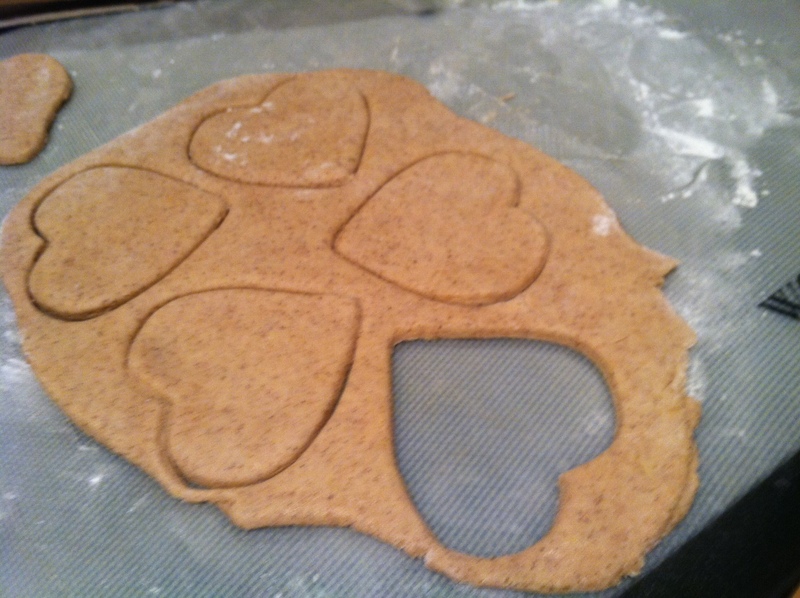 Spread thin and cut heart-shaped cookies. Place them on baking paper and bake for about 10 minutes at 340F, 180C, until light brown. These cookies become hard, and that is the way they should be. 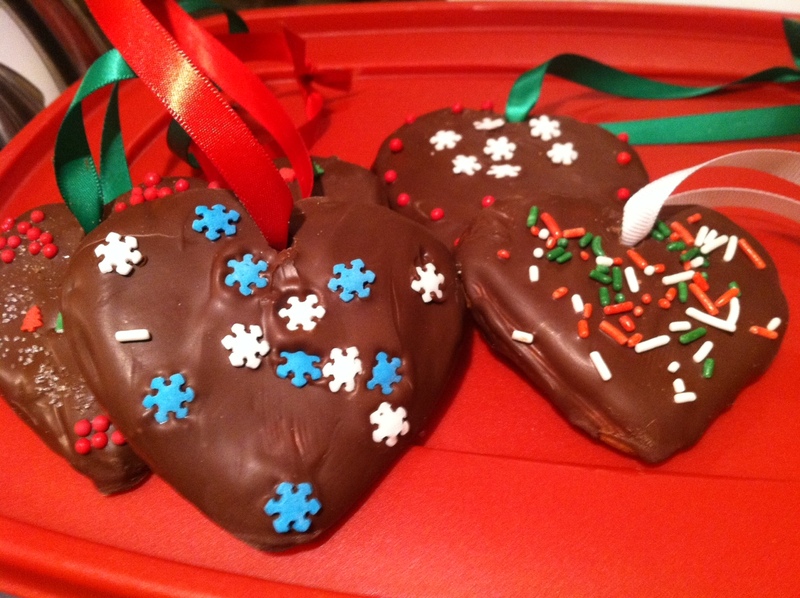 To make them softer, place in the fridge for 2 days before decorating. 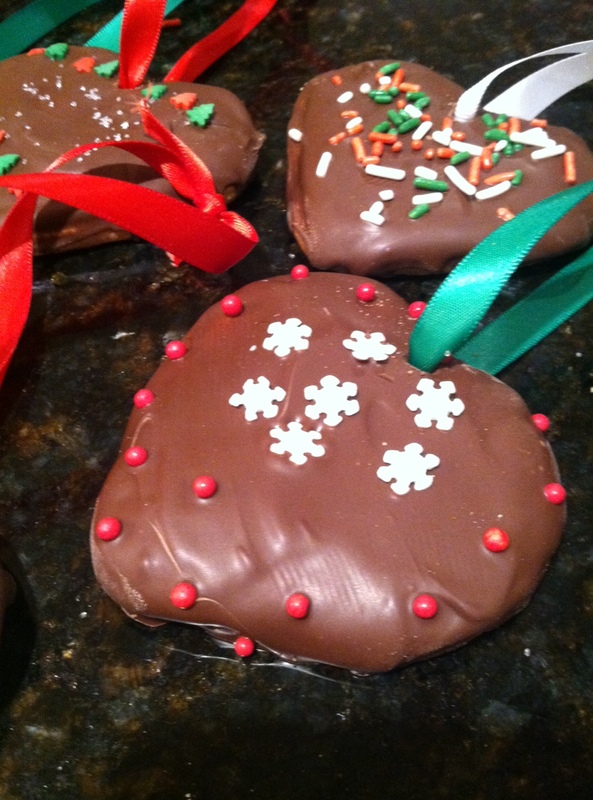 Cool and spread melted chocolate and decorations on top. 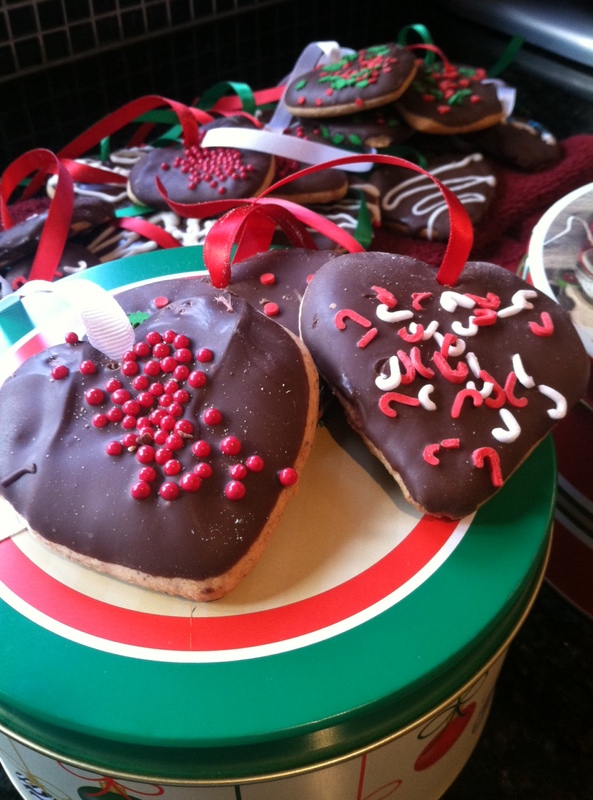 If you want to hang them on your tree, make a hole in the top of the cookie to insert a ribbon through. 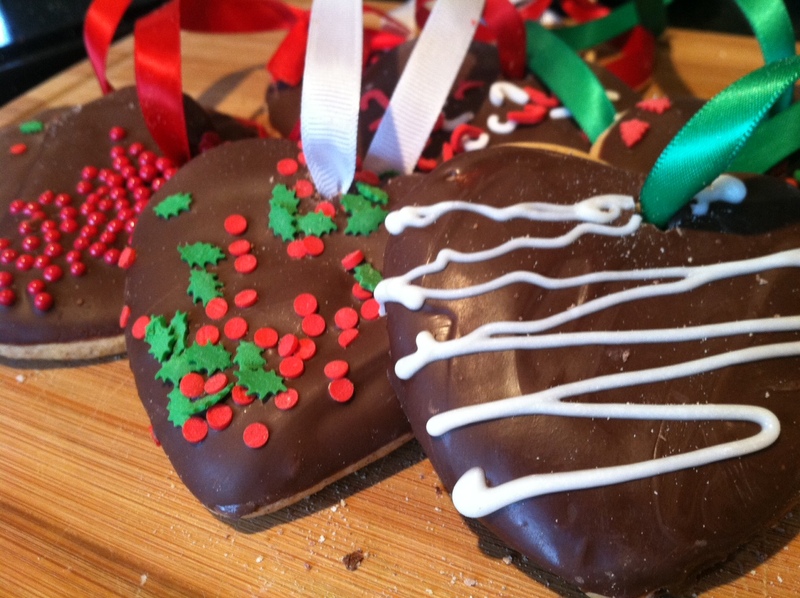 You can hang them on the tree, store them in a closed container in the fridge or dip in tea or Glogg. Enjoy and have a fabulous Holiday!